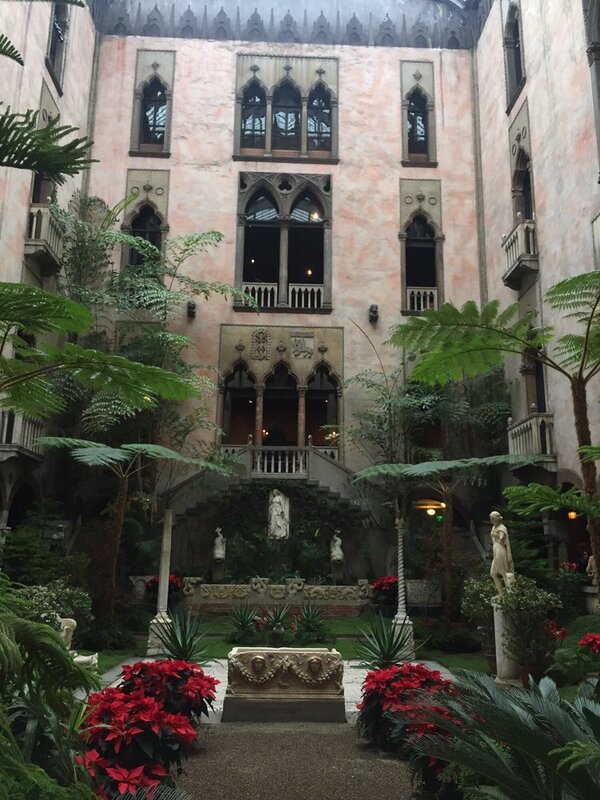 Isabella Stewart Gardner first welcomed visitors to her museum on New Year’s Day, 1903. 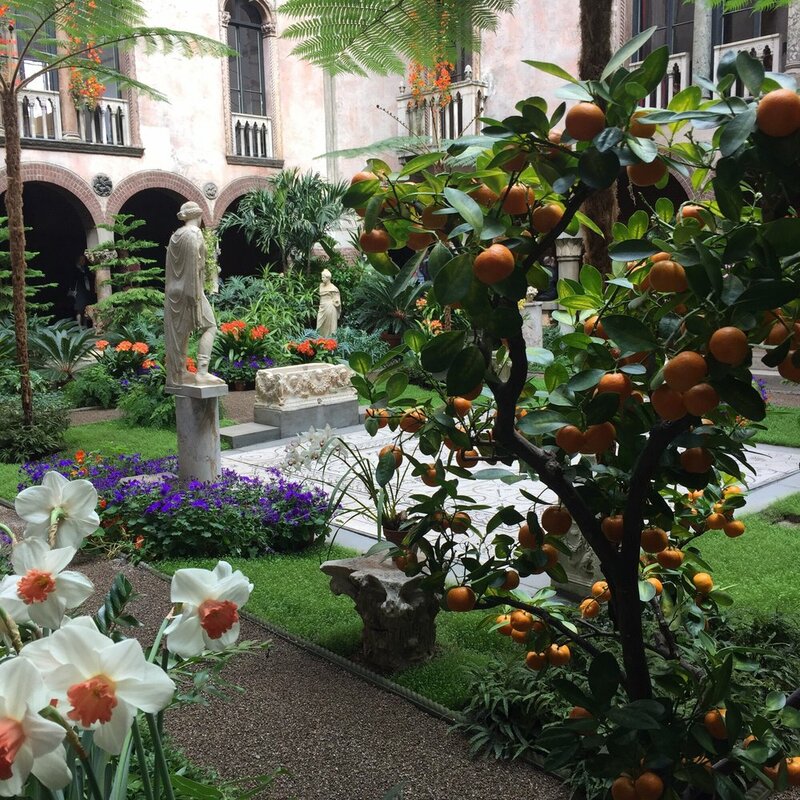 On that evening guests listened to the music of Bach, Mozart, and Schumann, gazed in wonder at the courtyard full of flowers, and viewed one of the nation’s finest collections of art. Today, visitors experience much the same thing. 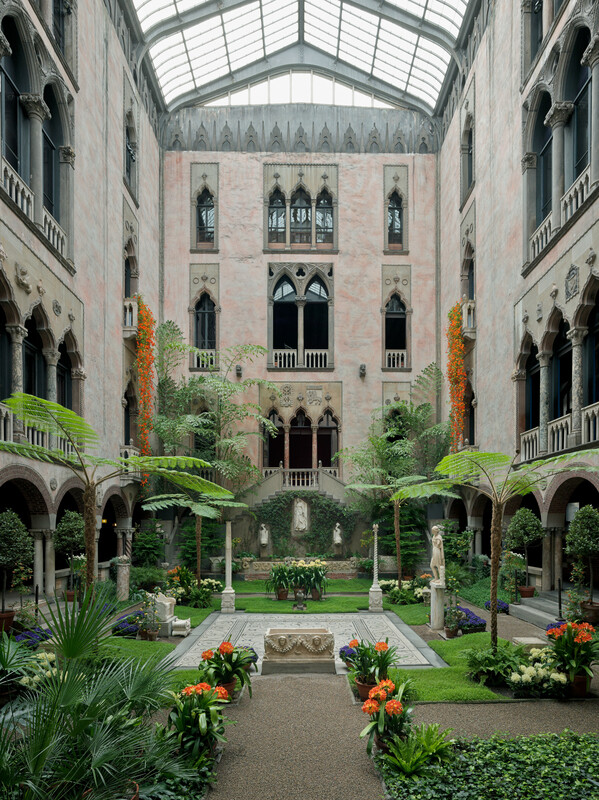 The Gardner Museum has remained essentially unchanged since its founder’s death in 1924. Unchanged but certainly not stagnant. Three floors of galleries surround a garden courtyard blooming with life in all seasons. 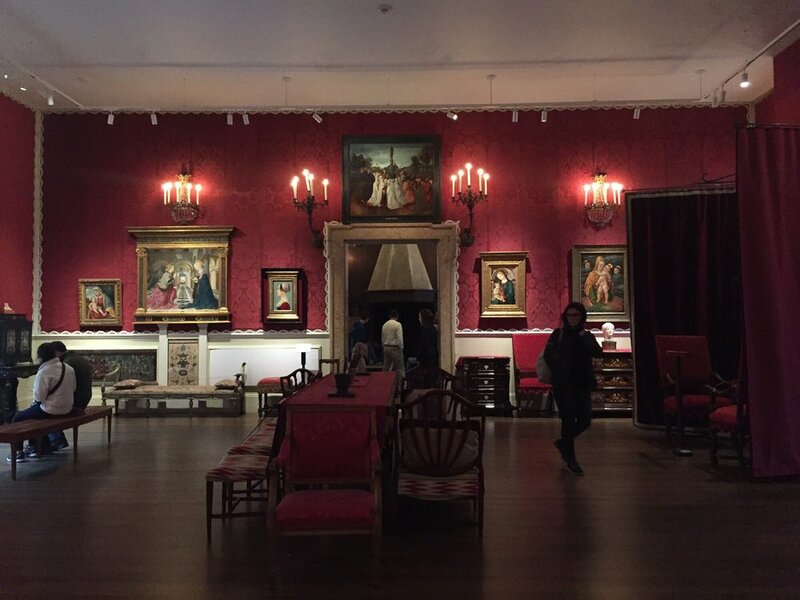 The galleries are filled with paintings, sculpture, tapestries, furniture, and decorative arts from cultures spanning thirty centuries. 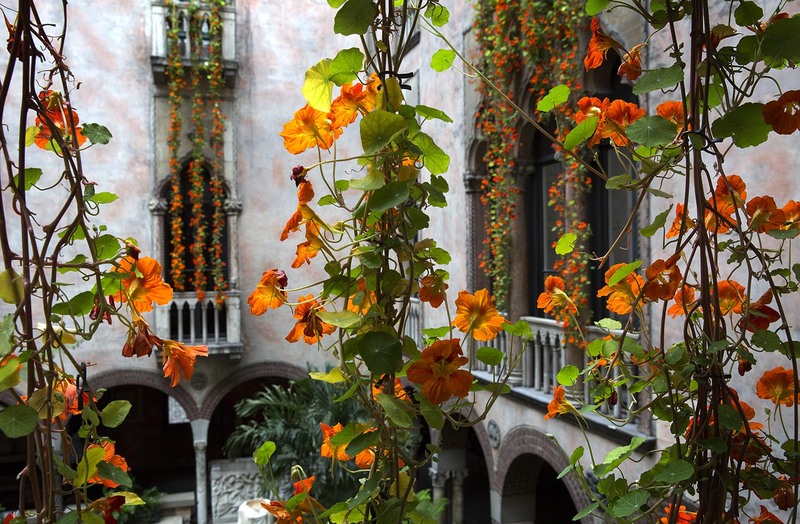 Over three decades, Isabella Stewart Gardner traveled the world and worked with important art patrons and advisors Bernard Berenson and Okakura Kakuzo to amass a remarkable collection of master and decorative arts. 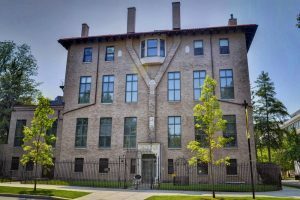 In 1903, she completed the construction of Fenway Court in Boston to house her collection and provide a vital place for Americans to access and enjoy important works of art. 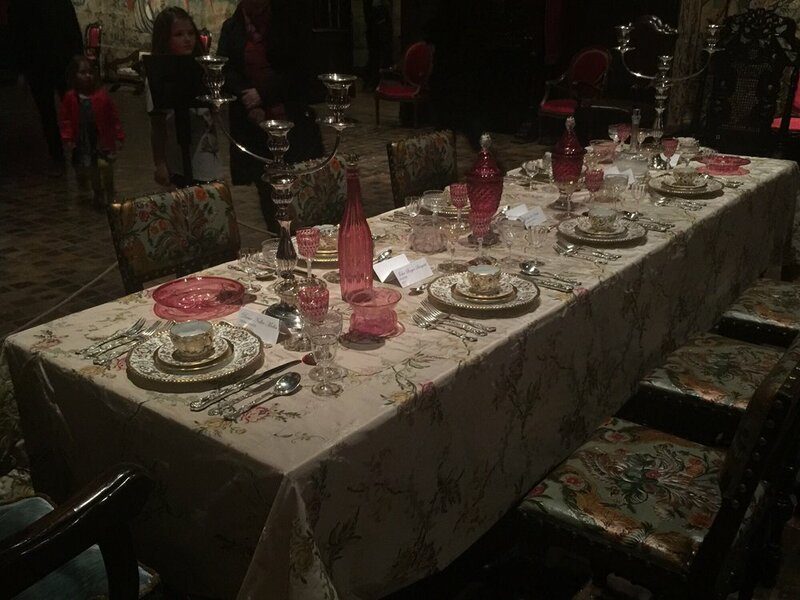 Isabella Gardner installed her collection of works in a way to evoke intimate responses to the art, mixing paintings, furniture, textiles, and objects from different cultures and periods among well-known European paintings and sculpture. 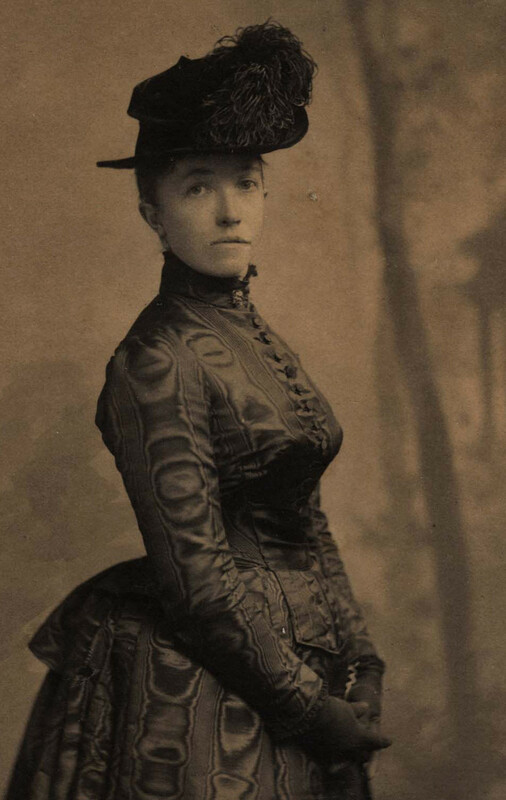 Isabella Stewart Gardner was born in New York City on April 14, 1840. She was the child of David Stewart, of Scottish descent, who made his fortune in the Irish linen trade and later in mining investments. Her mother was Adelia Smith, descendant of Richard Smith, an Englishman who had settled in Boston in 1650. She was named for her beloved paternal grandmother, Isabella Tod Stewart, herself a remarkable woman and successful farmer. (A portrait of her hangs in the museum.) 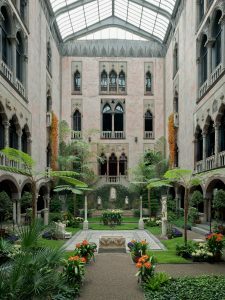 Isabella Stewart Gardner was also a descendant of royal Stuarts (although this genealogy is spurious) and took great pride in this lineage. 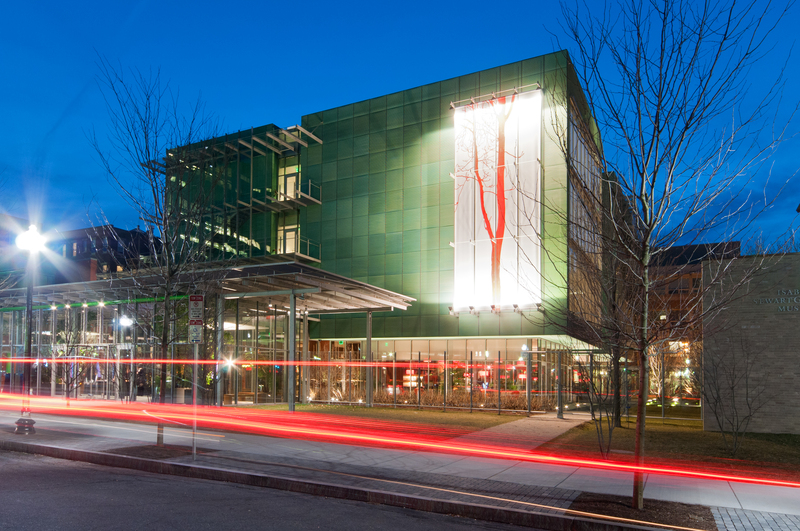 Isabella Stewart was educated at private schools in New York and Paris. Her first connection with Boston came through her schooling, between 1856 and 1858 in Paris, where a friendship with schoolmate Julia Gardner led to her eventual marriage to Julia’s older brother John (“Jack”) Lowell Gardner Jr. (1837-1898) on April 10, 1860. The couple was married in New York City and moved to Boston, Jack’s hometown, where they settled into a house, a wedding gift from her father, at 152 Beacon Street in the Back Bay section of the city. In June 1863, Isabella Stewart Gardner gave birth to a son, John L. Gardner III, known as “Jackie.” At just two years of age, Jackie died of pneumonia in March 1865, and during the two years that followed his death, Isabella Stewart Gardner endured depression and illness. At a doctor’s suggestion, John Gardner took his wife to Europe to travel throughout Scandinavia, Russia, Vienna, and Paris and, upon returning home, Isabella Gardner was in good health and spirits. Although the Gardners had no more children, they raised their three nephews following the death of Jack’s widowed brother. In keeping with her philanthropic nature, her will also left sizable bequests to the Massachusetts Society for the Prevention of Cruelty to Children, Industrial School for Crippled and Deformed Children, Animal Rescue League and Massachusetts Society for the Prevention of Cruelty to Animals. 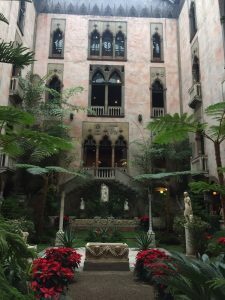 Isabella Stewart Gardner is buried in Mount Auburn Cemetery, in Cambridge, Massachusetts, between her husband and her son.